Taro Fukuyama serves as CEO and co-founder of AnyPerk, an employee happiness company that offers perks and rewards products used by more than 1,000 companies across the U.S. AnyPerk was founded on a desire to help companies build places where employees love to work, since happier employees make for better business. Taro is part of the first Japanese team to be admitted to and graduate from the Y Combinator program. 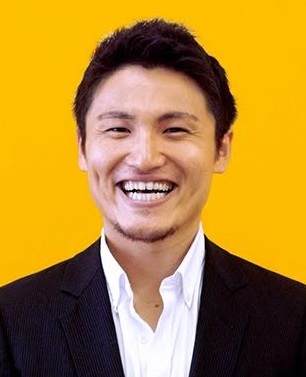 Prior to co-founding AnyPerk in 2012, Taro studied Law at Keio University in Tokyo. My co-founder and I were intent on starting a company, and we came across a really startling fact: something like only 15 percent of employees are happy going to work every day. I was also aware of a big public company in Japan that was a perks company, and I realized that there wasn’t anything similar in the U.S. So, we thought launching a perks product was a great way to start to address the employee happiness challenge, and we pursued that direction in our Y Combinator class. One big thing we’re seeing with today’s workforce is that more people are quitting their jobs when they are unsatisfied, even if they don’t have a backup plan. Nearly 22 percent of unemployed people said they are out of work for this reason, up from 15 percent in 2014. That’s why it’s so important for HR professionals and business leaders to look for interesting and unique ways to keep employees engaged and ultimately happy. That means adapting and changing with the times. According to research, 87 percent of recognition programs focus on tenure – they basically reward people for sticking around, which is an old-school way of thinking. For example, you get a gold watch for staying at a company for 25 years. However, 51 percent of employees said milestone awards such as these have no impact on their view of their job. They’re actually expecting more values-based rewards programs and looking to be recognized more often for a job well done – almost once a week! Another way companies need to ensure they are adapting is to take into account that there are vastly different generations in the workforce – Gen X, Baby Boomers, Millennials and more recently Gen Z – that have vastly different expectations of their jobs, and often these different generations work at the same company. Therefore, it’s important that we also help these companies address these different groups and what keeps them happy so they can be successful. We’re going all in on rewards and recognition right now. Last month we officially launched our rewards platform to give companies a way to easily and effectively invest in their employees’ happiness, recognize their achievements, and help make their lives better inside and outside of the office. AnyPerk Rewards encourages company to employee, manager to employee and peer-to-peer recognition with credits toward charity or gift cards for brands recipients choose, and customized notes that actually make employees feel valued. For us, the goal of our rewards platform is to help small- and mid-size businesses attract and retain employees by keeping them engaged and productive, so making them feel valued while they’re at work is important. Inspiration for AnyPerk, and your vision for it? Our goal is to help companies build places where employees love to work. As I mentioned, we recently launched AnyPerk Rewards, because we know that employee happiness is one of the strongest results seen from recognition, with 86 percent of values­-based programs citing an increase in worker happiness. Ultimately, we want to have a range of offerings that all contribute to employee happiness. What's next for AnyPerk in the near future? Our focus right now is to work with small- and medium-sized businesses to implement our rewards platform so they can compete with the larger enterprises that often offer robust benefit packages to attract top talent. About 70 million employees work at small- and mid-size businesses (in comparison to 42 million who work at enterprise companies), but only 9 million are supported by these recognition software programs. In other words, the majority of employees – 62 percent – work at SMBs, but 87 percent of them aren’t recognized for their work like their enterprise counterparts. SMBs need a more level playing field to compete. Your key initiatives for the success of AnyPerk? We’re actually just now doubling down on our partnerships with benefits brokers because brokers are true trusted advisors to their clients and are themselves looking for forward-thinking, ancillary benefits like our perks platform. They’re also expanding their business models, so many of our partners are interested in offering AnyPerk Rewards to their clients as well. Those partnerships have paid off pretty significantly. A big challenge is hiring the right people. When you start a business, especially as a first-time founder, it's really hard for you to know who you should hire, and how you identify the right people during the interview process. A lot of people have great experience and qualifications on their resumes, but that doesn't guarantee that they are the right person for what you need. We ended up hiring people who were not good fit for the role or our company, which required us to have some sad departures, but we learned from it. Now, every time we open a new position, the hiring manager has to identify what she or he is looking for in employees in terms of skill set, competencies and experience. Also, the hiring managers are required to clarify what kind of questions we should ask to identify those traits. Even though it's not perfect yet, since we incorporated this process, our success rate of hiring has increased significantly. We don’t believe there’s just one formula for success with our customers. What we try to do is understand our customers’ unique needs and meet those in personalized ways. In general, though, our customers have the best experiences when their Customer Success Manager works closely with them to clarify their program goals, carefully crafts and executes on their launch and continually builds awareness of the program internally. The customer’s experience in that instance is one of having a trusted advisor plan with them, coordinate a launch that employees get excited about and work closely with the customer to ensure ongoing success. When that happens, customers find employees respond by tweeting about perks they love, how much they appreciate the recognition they’ve received, and telling their HR leaders how much they appreciate AnyPerk being offered. The best way to motivate others is to practice what you preach. Since we’re an employee happiness company, we need to demonstrate that within our own office and the key to employee happiness is to listen, act and then reinforce your actions. No matter how much our company has grown – and this has been more difficult to manage as we scaled – employee happiness has always been our No. 1 priority internally as well as externally. The key is to find out what employees value by listening to what they communicate is important to them, addressing what you’ve heard with concrete actions, and then continuing to reinforce and support the changes you’ve put in place. Be vulnerable. I learned this from Patrick Lencioni. He advises that one of the most important things for leaders to do is to build a cohesive team, and to do that the first thing that's needed is for individuals to be vulnerable with one another. Everyone needs to be able to admit mistakes, admit what they don't know and be open to feedback. This is so leaders can have healthy conflict and discussions, which is important in order to make good decisions. An atmosphere in which employees are guarded and defensive prevents communication among the team and often leads to more mistakes.